Disney Vacation Club does not promote the “hard sell” that timeshares salespeople tend to have a reputation for. If you have ever been trapped in a 6 hour sales presentation just to earn a $100 gift card, you may have sworn off timeshare presentations forever. Disney simply presents the information to you in a comfortable, no-pressure manner, and there are no hard feelings if you are not ready to purchase. You can attend a DVC Open House while you are on vacation, and Disney will provide transportation to and from the parks or your resort, and some ice cream at the end, but you won’t be trapped or pressured into making a large financial purchase on the spot. A lot of folks, like our family, purchase from home! We contacted Disney Vacation Club for the information and were able to look it over on our own time. After we came to the conclusion that it was a good purchase for our family, a few phone calls and a trip to a notary was all that was needed and we were members! We even had our first vacation reservation made right for us when we purchased. 2. You aren’t locked into the same size room during the same week every year. With a traditional timeshare, you are buying a week long reservation in a particular size room every year at the same time. 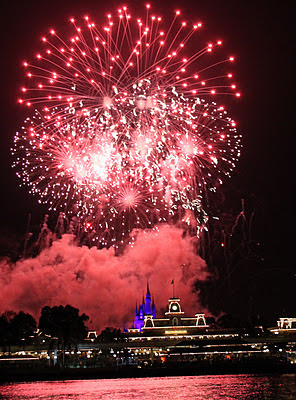 Disney Vacation Club is much more flexible, and you can stay at any time of year you want, and book any size room. DVC works on a points system, and each night stay is worth a different number of vacation points. Larger rooms and more popular times of year are worth more points, with quieter seasons and smaller studios requiring fewer points. You can check in any day of the week and stay as long as you need, as long as you have the points and the room is available. You can also stay at other Disney Vacation Club Resorts at Disney World, Disneyland, Hilton Head, Vero Beach, Oahu, sail on Disney Cruise Line and more! 3. Being a Disney Vacation Club Member gets you some great discounts. Members do receive discounts throughout the Walt Disney World and Disneyland Resorts. There are small discounts on merchandise, and select dining establishments, as well as discounts on special ticketed events such as the Halloween and Christmas Parties, golfing and other recreation, and special events. Members perks include a discount on the Tables in Wonderland dining card which then gives the card holder 20% off at most restaurants at Walt Disney World. Our family makes the best use on the DVC savings we receive on our Annual Passes. For our most recent purchase, we received $100 per person off the price of an Annual Pass. By then scheduling two, week long vacations within that 52 week time frame, we see a significant savings over purchasing two separate sets of 6 day passes. 4. Over time it can save you a lot of money on your accommodations. Yes, the initial buy in is a large purchase, but over time you can save quite a bit on your accommodations at Disney. If you go to Disney at least every other year, and especially if you have a larger family or stay in deluxe accommodations you will probably do better with DVC Membership than by paying rack rate. We purchased in 2009, and in just five years we reached the break even mark. This past February, we stayed in a one bedroom villa, for eight nights. Had I paid rack rate for that room, with taxes it would have been approximately 1/3 of the initial amount we paid to buy in to Disney Vacation Club! It can also save you a few grey hairs, as our family of 6 enjoys having the added space, separate sleeping arrangements and bathrooms, the washer and dryer and the full kitchen that come with a DVC Villa. We cook some meals in our room, and the washer and dryer allows us to bring less luggage, both of which save us even more money. And let me add, being able to close the door between the kids and us has a LOT of value! 5. You can start small, then add more points later. For some families the initial buy in price for a 2 bedroom villa during spring break can be overwhelming. But while this may be the dream, you do not have to join Disney Vacation Club at that level. A Disney Vacation Club Guide (Disney speak for salesperson) will work with you to help you determine a number of points that will be comfortable for you, while helping you reach your vacation goals. While that Spring Break room clocks in at 398 points, a 4 day weekend in a studio in the fall or early winter can run close to or even less than 50 points. You can buy a contract for 50 points now, then as your family expands, or your financial picture changes you can add on more points with an additional contract. This article was originally published as a guest piece for Mom Factually. 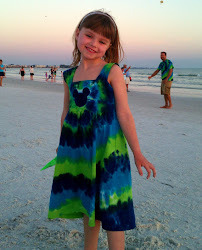 Check it out for more Disney and everyday fun!